Mothers everywhere are waking up this morning to flowers, fresh coffee and breakfast in bed, snuggles from sweet sleepy-faced little ones, and promises from daddies that they will dress the kids for church. You woke up to a kid vomiting down the hall and across the bathroom at 4 a.m. Instead of flowers, you’re starting the day with a cleaning rag in your hand and tears just below the surface. Hold on, sweet mama. Close your eyes and whisper a prayer. I wish someone had told me some of those years that I was doing a great job, that doing the mama thing on Mother’s Day is hard, but it is pleasing to the Lord; that it makes my husband love and appreciate me even more. I wish someone had shown me the things it teaches my children, so I’m telling you. 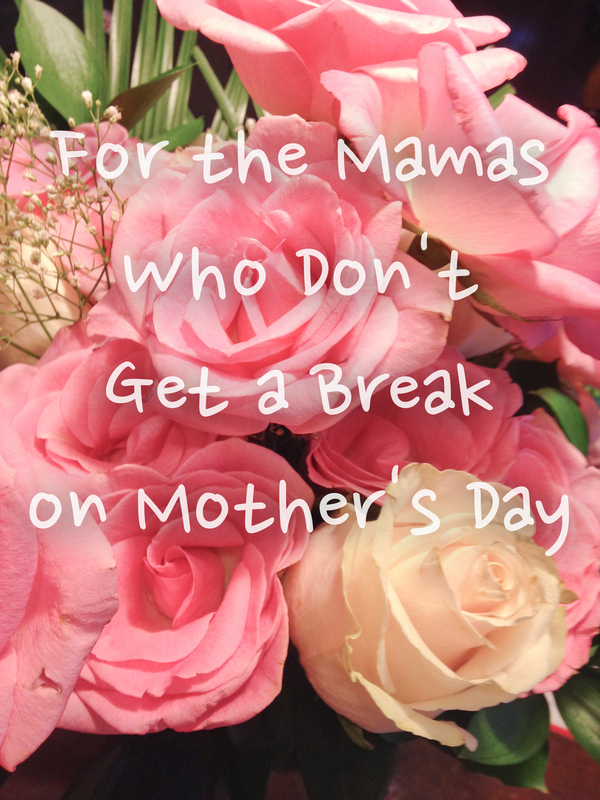 Mamas that won’t get a “break” today – you are a beautiful mother worth celebrating. The work you do today is the Lord’s work. You are not alone. There are lots of other moms just like you – probably even sitting in the next row at church this morning. Even if he doesn’t say it or isn’t there to see it, your husband knows what you are doing today. He appreciates it and is amazed by it. Your children see it too. They know their mama loves them, and even if they are too small to say it or do it themselves, they want to do sweet things for you and with you. This is Mother’s Day. It’s not just a day to celebrate mothers, but to celebrate being a mother. It may not feel like it, but you moms that push through the day, doing all the things you did yesterday and will do again tomorrow, are giving your children a wonderful view of motherhood through the lens of God’s love. Being a mother means loving, giving, serving, and sacrificing. What better way is there to celebrate being a mother than by loving, giving, serving, sacrificing, and teaching your children? Today may not be easy, or relaxing, or even fun, but having those children is still something to celebrate. Serve up frozen waffles and bananas on paper plates or go by a drivep-thru on the way to church for a fun breakfast. Take those babies out to eat by yourself. Just because today is work does not mean you aren’t celebrating. Serving your family is worshiping the Lord. Worshiping the Lord is celebrating Him.